Pretty Serious Cosmetics Daphne’s Birthday Party Press Release & Competition: Win Nail Polish! They’ve come out with beautiful polishes, and the creative genius behind it who I’ve admired is Karen (or Kaz). She actually started out as a blogger, so every colour she comes out with evolves from true passion and an in-depth understanding of the beauty industry. I received the official Pretty Serious Cosmetics Daphne’s Birthday Party press release a little while ago, and knew I had to share this special opportunity with all of my readers! Find out how you can win every single nail-polish that Pretty Serious Cosmetics releases until their girl, Daphne, turns 2 years old! As if that wasn’t enough, everyone who participates will receive a 20% off discount code that can be applied on their next order! Check out all the important details in this post, and good luck! 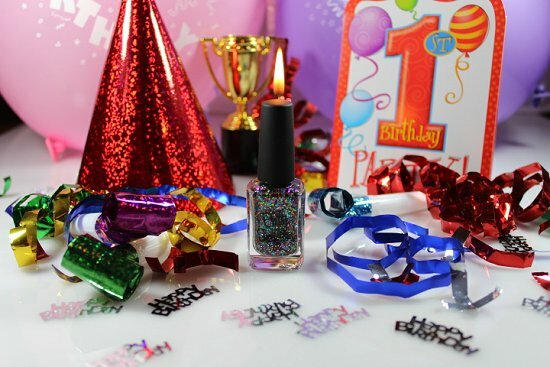 Our fabulous NEW sparkling birthday polish “Daphne’s Birthday Party” is now on sale and you can help us make May 14th a very special day for both us and our girl Daphne, and pick yourself up some bonuses as well! Firstly, grab yourself a bottle of Daphne’s Birthday Party as soon as you possibly can! You want to make sure you have yourself properly prepared in time. You can pick it up now at www.pretty-serious.com. Once it hits May 14th in your timezone, unleash upon the interwebs with all you have and wish Daphne a Happy Birthday! We want to spread the sparkly confetti far and wide on one big special day, and we don’t care if you aren’t a nail artist with but just a dormant instagram account to your name – join in with us! Trust us, that’s quite a bit of polish that will start paying off rather immediately. Your swatches must be of Daphne’s Birthday Party, and they must be your own. Stealing someone else’s swatch of Poltergeist Puddle and putting it up on the day doesn’t count. Just saying, because there’s always someone… Also, the polish must have been bought by you. No buying one bottle so you and 5 close friends can enter. That’s not very sporting. Group orders are okay, provided every entrant purchases their own bottle. Your swatch must be viewable to all on some form of social media or website. Facebook, Twitter, Google+, Pinterest, Instagram, your own blog – the more the merrier! When we say “every single polish”, that does not include any special one off polishes we may do for whatever reason. An example of this is The Great Below, a one of a kind polish currently up for auction for Paint It Blue. Other Limited Edition’s in the vein of Emma Louise or Golden Ticket – all yours! The competition is open to anyone who buys a bottle of Daphne’s Birthday Party. Any bloggers that we may give a promotional sample to are not eligible, but if they bought a polish like everyone else – fair game! Also, our immediate family and close friends – all ineligible. We’ll draw the winner as soon as we can possibly organise it after the day is well and truly done. It will be drawn by a mutual third party who we have not yet decided on, and we will post a video of the drawing on our YouTube channel for all to see. Kaz is already cranky that she has to be in front of the camera, but we will do our best to prove we have an honest winner. If anyone has any questions or is confused about anything – PLEASE ASK US! 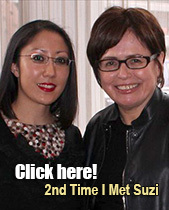 Leave a comment on our blog or Facebook wall, send an email, whatever you are comfortable with! We won’t bite, and we’re happy to help! We hope you’ll be a part of our incredible first birthday celebration! There’s still time to grab a bottle, so feel free to share this info on your blogs and help us make our first birthday an even bigger party!! Will you be entering the competition? What’s your favourite Pretty Serious Cosmetics nail polish you’ve seen or tried? 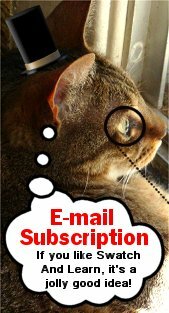 This entry was posted in Press Releases & Promo Pics and tagged Pretty Serious Cosmetics on May 6, 2013 by Mary S..
Hehe, yes! 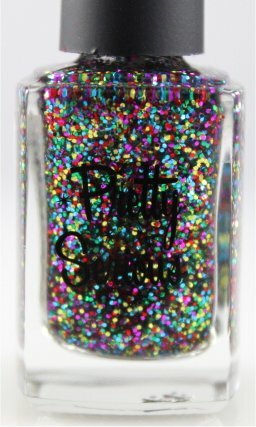 In order for a chance to win, you need to first have a bottle of this glittertastic polish! How fun! 😀 Thanks for sharing. It’s my pleasure! When I read what the prize was, I knew I had to. Amazing! Happy early birthday to you! 😀 Any fun plans? Hey Mary, have you seen the new sally hansen line caled fuzzy coat? if so, what do you think? No, I haven’t! Fuzzy coat? Are they like the Nails Inc. feather polishes? I haven’t tried any polishes with that finish, but I’d want to try them! Thanks for letting me know about it. I’ll have to pay more attention when I hit up the drugstore next time. Yup, Fuzzy Coat! Actually, they’re exactly like the Nails Inc. feather polishes. I didn’t even know about those. I’m not crazy about them but its a fun textured looked to have once in a while. The one I bought is called All Yarned Up. Its cute and lots of people ask me about it when I’m wearing it. Hehe, that name (“All Yarned Up”) is so cute! I knit, so I may have to buy that polish just because of the name!